Star Quilts expert Edie McGinnis has gathered more than 40 patterns from The Kansas City Star that go together like ... well, loving sisters! The Tulips, Blubells, Magnolias, Butterflies, Roosevelts, Kites and Spring Flowers are all here... and many more, each with redrafts, instruction and templates. Plus Edie introduces 7 new Star patterns! Plus 12 great Sister Quilts. 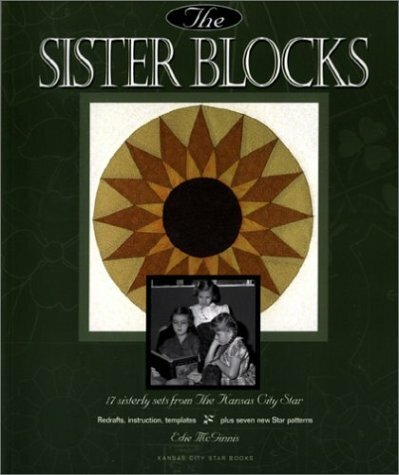 Detailed instructions and templates and great stories about the love between sisters make this one of the most enteraining quilt titles!